The garden centres are packed full of springtime loveliness, much of it already made up into generic containers in readiness for Mother’s Day. But with a little time and thought it’s easy and satisfying to make an original floral gift. 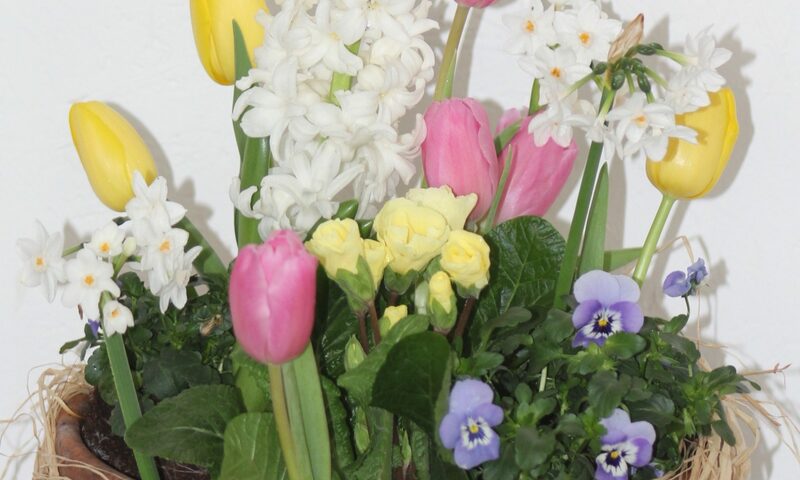 Classic spring flowers are always cheerful and uplifting, but there are also permanent plants or plant combinations that will work equally well and will be a lasting reminder of your devotion. 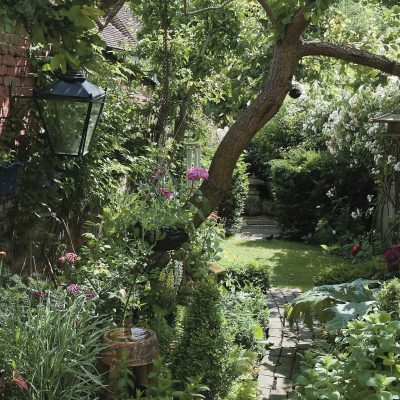 Types of container: Whether you choose a conventional terracotta pot, bespoke planter, or something more quirky, drainage is essential, so make sure there are holes in the bottom of the container. If it’s not possible to make holes, add a generous layer of gravel to the bottom so that plant roots don’t drown in a pool of water. If you are planting into a basket, line the inside with polythene prior to planting, or even plant in a pot and then place that inside the basket. 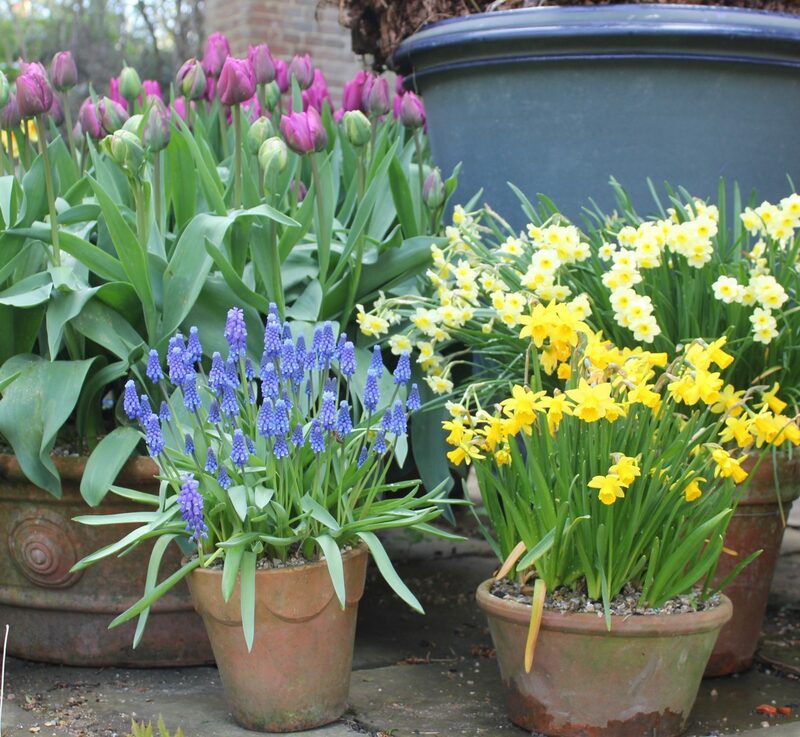 Bulbs are great in containers, providing welcome bursts of colour at the start of the season. Plant out in the garden, or tuck out of sight once they’ve finished flowering. Narcissi Many of the smaller varieties are scented which adds an extra layer of loveliness. They are also a better scale for containers than the giant show-offs. 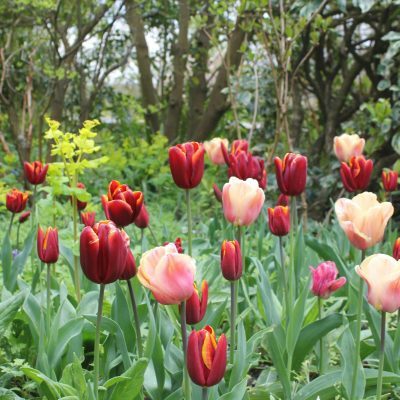 Tulips Look out for varieties that have good foliage, as some have lots of leaf that can start to look tatty and yellow before the flowers have gone over. 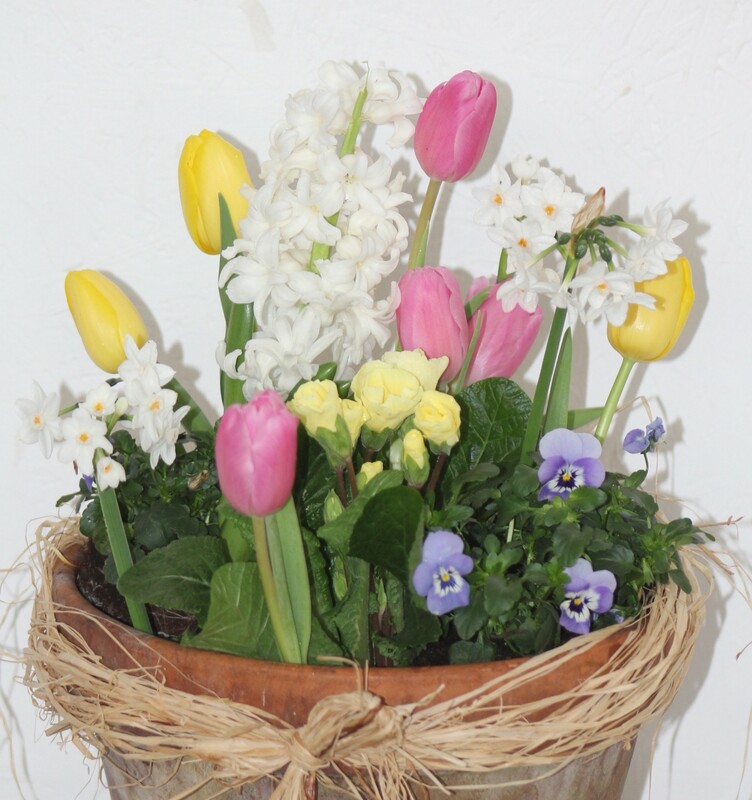 Hyacinths are highly scented bulbs and come in every colour except orange. Muscari (Grape Hyacinth) have delicate blue flowers that look like tiny upside-down bunches of grapes. These will quickly multiply if planted on in the garden. Biennials make ideal companions for bulbs as they flower early. 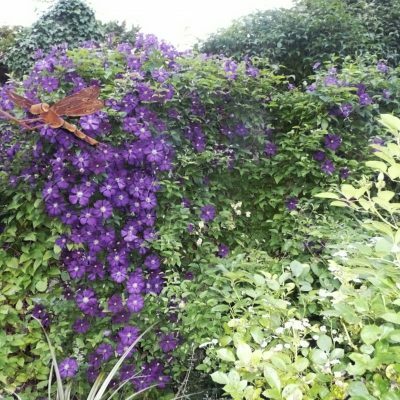 Basically a biennial is just an annual plant that spreads the growing period over the winter, so it is ready to start flowering as soon as the light and warmth come back in the spring. Once a biennial has finished flowering it will die and can then be replaced with summer bedding. Forget-me-nots will flower happily in pots and make a good ‘skirt’ at the base of flowering bulbs, helping to disguise that tatty foliage. Wallflowers (Erysimum) are available in a good range of colours and spicily scented, they mix especially well with tulips for a glamorous container display. Bedding The first outdoor bedding plants available at the garden centres are happy and tough, so they should survive any cold snaps. Don’t be tempted to choose tender bedding plants for your containers just yet. Primroses and polyanthus Choose either a demure natural-looking species primrose, or go for a jaunty and bright polyanthus. They are low growing, so work well either singly in small pots, or as fillers. Pansies and violas will go on flowering for months if you keep deadheading. These trendy plants make great table top displays for inside the house, but as the name suggests, succulents have evolved to store water in their leaves, so are ideally adapted to grow in arid conditions (perfect if you are giving them to a plant neglector). This means that they will need to be potted into free draining gritty compost. You can make up your own mix, using equal parts sand, compost and horticultural grit, and then top with a gritty mulch once planted in the container. 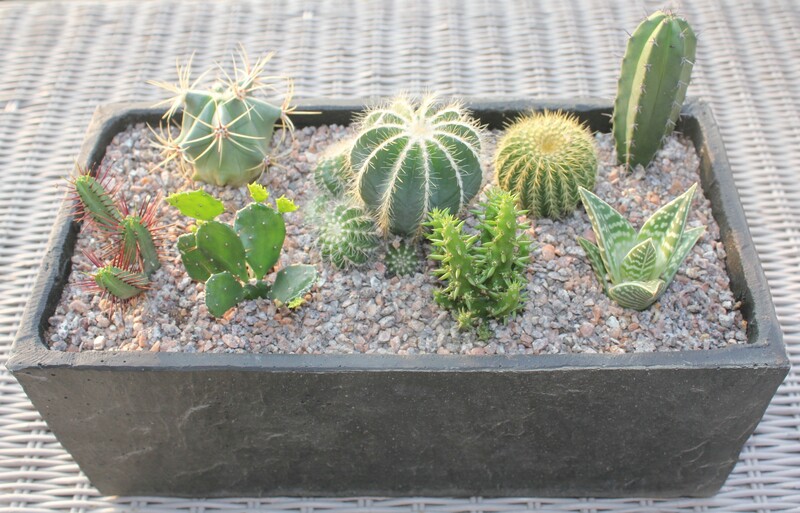 Cacti and succulents (contrary to popular opinion in my family) do need to be watered, especially in the growing season, just make sure that the water can drain away adequately. Planters of mixed herbs are fun to put together and can be tailored to suit a cook’s requirements. Small single pots are in good supply at the moment, as the foliage will be young and fresh. Pot them up singly into attractive containers and group together, or arrange in a planter. Use a taller plant like rosemary or lavender in the centre and arrange the others around it. Herbs might not be as colourful as flowers, but they will make up for that with their aromatic charms and flavour.